Winter has officially set in and with the bitter cold comes a desire to stay bundled up in bed under the warm covers all day. Having a daughter that is about to turn two in just a few weeks prevents me from exercising such a dream but it does still keep me indoors. Although Florida is not as cold as the rest of the country, having lows in the upper 30’s and highs in the mid 50’s is extremely chilly for us with thinned blood. I was born and raised in Iowa so I was used to the negative temperatures this time of year, but surely after years of being a Floridian my blood has quickly thinned like the crushed ice pellets of a slushy on a hot summer day. Being that I am stuck inside it leaves me one of only a few options: bake, write, or watch endless episodes of Sofia the First with my daughter. I have elected to write (and still have endless episodes of Sofia the First playing in the background). The recipe I present to you today is another cookie I baked for Christmas that I hadn’t the time to get posted prior to Christmas. 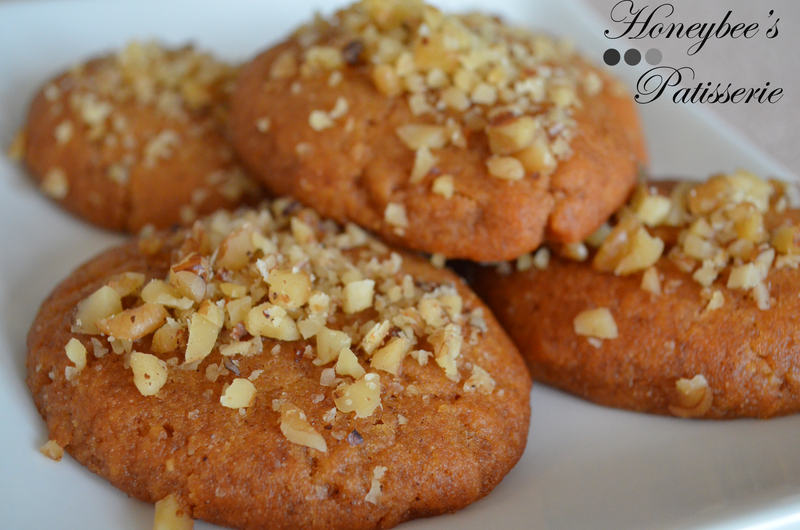 Melomakarona (Greek Honey Cookies) are yet another traditional Greek Christmas sweet. I will warn you these little gems are extremely popular because they are extremely addictive. 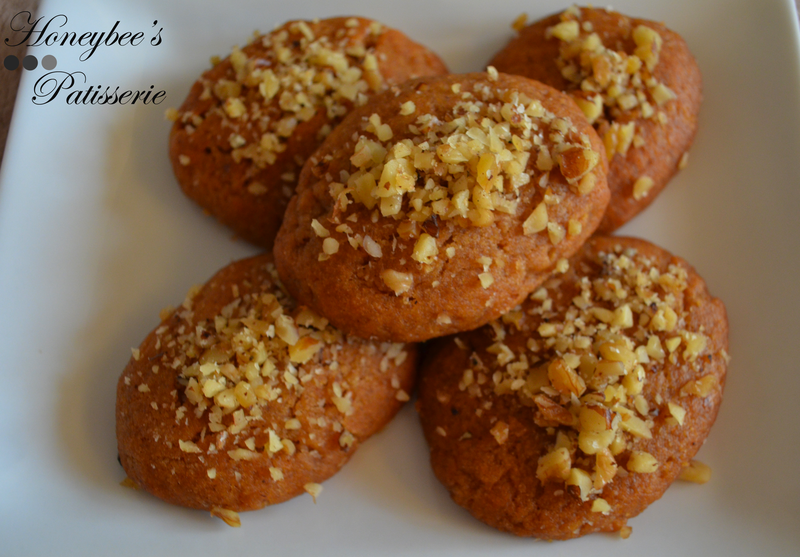 Melomakarona happen to be my favorite Greek cookie I have tried so far. Unfortunately with such fine gems there will always be a catch and these are no exception. Melomakarona tend to be a little more time consuming than other sweets I tend to post but they are ever so worth it. I guarantee once you take a bite of this moist and flavorful cookie soaked in sweet honey syrup you will surely be satisfied with your work. Now that I dropped the bit of bad news regarding these cookies I can overcome any negativity with a positive. 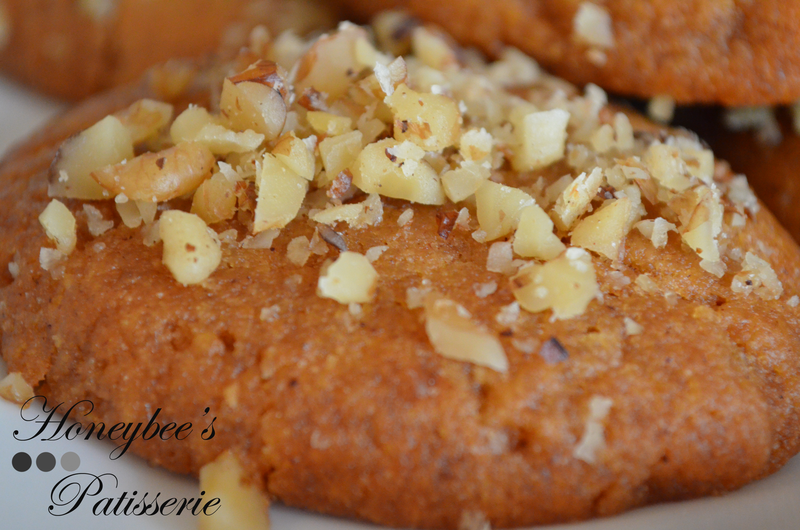 Not only do these cookies scent the house with a wonderful aroma, they are the most perfect cookie to prepare during the busy holiday season. I know I just stated they are more time consuming than other cookies so you are certainly wondering how I can then say they are perfect for the busiest and most stressful time of the year. I assure you I am not crazy. The reason I say they are perfect is because these cookies, although time consuming, can be made weeks in advance and still remain soft and fresh as the day they were made. In fact, it is best that they are made a bit in advance so that the honey syrup has enough time to penetrate the cookie and regain a bit of structure. If you try to serve these cookies right after they take a bath in the honey syrup they will crumble and dissolve into a mess in your hands the second you take a bite (although it will be a finger-licking, delicious mess). If you would like to be as authentic as possible with the Melomakarona, you will want to purchase Greek honey. I won’t lie this can be rather hard to find and a bit pricey so check out your local International market or shop for it online. You may certainly substitute regular honey but keep in mind the flavor will not be the same. This is due to the fact that Greek honey is extremely thick and made from bees that harvest most of their pollen from the thyme plant, imparting a specific flavor unique to Greek honey. For the final authentic touch, top each cookie with a sprinkle of chopped walnuts and a pinch of cinnamon and clove right after they are removed from the honey bath. The cookies displayed in the photos however only have walnuts and cinnamon added since I skipped on the clove as my daughter finds the flavor too harsh if it is not baked into the product. Whichever way you choose to prepare these cookies, each will be guaranteed heaven and a joy to all on the holidays (or any day for that matter). Note: Cookies can be stored at room temperature in an airtight container for about 2 weeks. You will have a good remainder of honey syrup after soaking the cookies. I usually use the delicious syrup to top pancakes and toast but if you would not like leftovers you may cut the ingredients for the honey syrup in half to create a smaller yield. To prepare the honey syrup: In a large saucepan add all of the syrup ingredients except for the honey. Bring the mixture to a boil. Boil until the sugar has dissolved, about 3 to 5 minutes (mixture will foam so pay close attention). Remove from heat and add in the honey. Stir to combine then set syrup aside to cool completely. Meanwhile, prepare the cookie dough by adding the semolina, flour, baking powder, cinnamon, nutmeg, and clove to a large bowl. Stir the mixture with a whisk to evenly distribute the spices. In another large bowl, add the brandy, vanilla, and granulated sugar. Measure out the orange juice into a large measuring cup. Hold the measuring cup over the large bowl with the brandy mixture. Add the baking soda to the orange juice, causing it to foam up and possibly over the rim of the measuring cup (depends how large the measuring cup is). After the orange juice mixture has finished foaming pour it into the bowl with the brandy mixture and whisk vigorously for 10 t0 20 seconds (if the orange juice mixture overflows the measuring cup while it is reacting, begin whisking the second it overflows into the bowl and continue to whisk until you pour all of the orange juice mixture into the bowl of the brandy mixture). Add the water, oils, honey, and orange zest and whisk to combine. Add the flour mixture into the brandy/orange juice mixture. Knead the dough lightly by hand until the ingredients are just combined and the dough feels smooth and soft. Be sure you do not overwork the dough or add any extra flour because the cookies will become tough. The dough will feel oily and is normal. Preheat the oven to 350°. Line two baking sheets with parchment paper and set aside. To shape the Melomakarona, pinch a piece of dough about the size of a walnut and shape into a ball. Once in a ball use your palms to shape the dough ball into an oblong egg shape. Place the shaped cookie on the prepared baking sheet. Press down lightly with the tines of a fork. Continue shaping the rest of the dough. Bake cookies until they are lightly brown and cooked through, approximately 20 minutes. When the Melomakarona are removed from the oven, let them cool on the cookie sheet for about 1 minute so they are easier to pick up. Working in batches, place the cookies into the cooled syrup. Flip the cookies while in the syrup with a slotted spoon for about 20 seconds (longer if you want a more syrupy cookie). Remove the soaked cookies with the slotted spoon and place on a serving platter. Sprinkle them immediately with the chopped walnuts, cinnamon, and clove (if using). These are my favorite cookies that I eat when attending a Greek festival. I am very excited to have this recipe and look forward to making them.